Summer is almost over, which means it's time to start thinking about back-to-school lunches. Shake up the usual sandwich routine with these five delicious wraps. 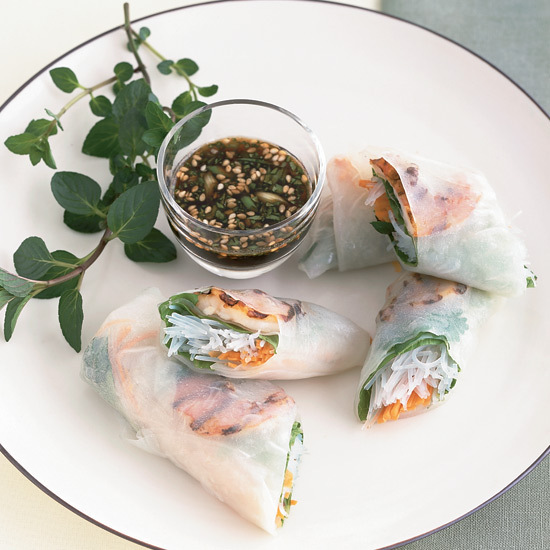 These delicious wraps are a great way to sneak Swiss chard or spinach into your child's diet. Omega 3-rich shrimp combined with crunchy corn slaw makes an excellent, healthy weekday lunch. These delicious chicken wraps are ready in just 8 minutes. Not only are these crunchy wraps great for kids to eat, they're also fun for them to make. "Kids love rolling food in rice paper," says chef Emeril Lagasse. These superb vegetable wraps can easily be made ahead of time.